Study Medical For Helping People. Why choose medical education? Is it to full fill your destiny? Becoming a medical practitioners is a social work and really good to enhance the live of citizen living in Sabah. I really like to see my own people to have a title DR in front of their name and this meant for medical practitioners. Sabah need more medical practitioners for our next generation. Although many Doctor in Sabah but in 10 years ahead there will be shortage of 1 : 10,000. Many of Sabahan did not like to study medical because of it difficulty and their result is not good enough to qualified for this program. For SPM and STPM leaver who qulified for medical eduction please o ahead and for SPM and STPM 2011 please be prepared. Good Luck to you all. Local Medical Study - University Science Malaysia. School of Biological Sciences is located at the main campus of Universiti Sains Malaysia in Penang. 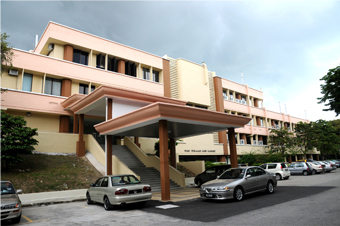 The School occupies G08 and G09A buildings, which are strategically located near Sungai Dua Road, one of the entrances to the campus. G08 building houses an administrative office, a conference room, a meeting room, a computer laboratory, vector control research unit and an array of teaching and research laboratories in the areas of Entomology, Parasitology, Ecology, Plant Biology, Animal Biology and Tissue Culture. Within G09 building are five main research laboratories, namely, Plant Pathology Laboratory, Phytochemistry Laboratory, Biotechnology and Molecular Biology Laboratory, Microbiology Laboratory, and Fish Biology Laboratory. The G09 building also houses teaching laboratories for Plant Pathology, Microbiology and Biotechnology. Academic staff offices are located within the two buildings. The School of Biological Sciences had undergone very rapid development since it was established in 1969. Today the School has over 40 full-time and well-trained academic staff with expertise in various fields of biological sciences. The academic staff are well supported by technical staff, tutors and science officers either for teaching or research. As such, the School is able to offer up-to-date courses in biology, which are of high academic quality. The School of Biological Sciences offers two undergraduate degrees, Bachelor of Science (Hons.) and Bachelor of Applied Science (Hons.). Both degrees features multidisciplinary training ranging from the basic biological sciences to the more applied aspects ones (Please refer to the undergraduate programmes of the School for more information on the biology thrust areas offer in pure science and applied science degrees). The School is offering MSc and Ph.D graduate degrees by research. Post-graduate training will provide students with research skills in the most relevant and current technologies (Please refer to post-graduate research programme of the School as well as staff research profiles for more information). In order to support its research and development activities as well as teaching, the School has well-equipped laboratories which are used to give basic and advanced training in the various biological techniques. Apart from these laboratories, the School is supported by other facilities such as Electron Microscope Unit, Herbarium, Plant House and Fish House. For research and development activities, the School has collaborations with various international and local universities and research institutes. These collaborations are of primary importance as it can provide new ideas and awareness of emerging technologies for both the academic staff and graduate students. On the world stage, Russia has remarkable distinction in The Higher Education System. More than two million students have enrolled their names in these Institutions or Universities. These are more than 17,250 doctors of science and about 8,75,000 candidates of science in various institutions. They take lecture as well as active in developing new scientific trends & advanced technology.The students/ teacher ratio is approximately 7:1 ,80 Russian Medical Education is considered its standard one & most advanced one. It is sophisticated in the world as every institution is well equipped and teaching methods are regulated and stream lined providing for an extensive development of students in chosen specialties. The Russian medical degrees have topped WHO and UNESCO ranking and have got global recognition. About 30 positions are occupied by the Russian Medical Universities in World Ranking and The Russian Federation has some of the finest medical Universities in World Ranking. The Indian students seeking admission are admitted in those institutions which are recognized by this medical council of India for screening test conducted by MCI. Compared to western countries, the tuition fee in Russian institutions are reasonable. Compaired to western countries the imparting system of higher education in Russia is well formulated and advanced. In the evaluation of student’s performance, their progress in mastering the subject is monitored closely and objectively. The head of the institution formulate the tests and examinations during every academic year in a great number. The important part of higher education assessment process in Russia is the final state examination. From September all the Russian Institutions starts their academic year.There are two semesters in an academic year,September to January and February to June. First semester examinations are held usually in January while second semester exams are held in June. Student enjoys winter vacation as well as summer vacation. Winter vacation is from 15th January to 7th February and summer vacation is from 1st July to 31st August. Russian medical degrees are recognized by WHO, UNESCO, etc. Wide range of possibilities and broad exposure to clinical practice due to highly equipped multiprofile hospitals. The educational fees are very low due to subsidy of Russian Government. The living expenses for students are over around US$ 80-100 (Up to 3250 Rs. ) per month. This has made Russia as an economical educational destination. The Department of Medical Oncology is an integral part of the Flinders Cancer Research Program providing leadership in new drug development, psycho-oncology and survivorship care. In addition to delivering high-level care and support for patients requiring systemic treatment for cancer, the dedicated team of oncology specialists pursue a comprehensive research agenda. 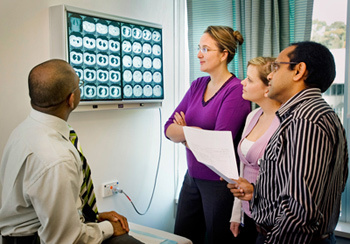 Medical oncology is a key unit of the clinical sciences research platform of the Flinders Centre for Cancer Prevention and Control (FCCPC), an internationally recognised centre of excellence that offers significant translational research opportunities across cancer-related disciplines. "The oncology department is involved in a range of exciting clinical research programs. There are currently medical and scientific PhD opportunities across all oncology programs with the potential for clinical trials and translational research."